Register for a free account to save your favorites and get updates on new listings, new prices, and free tips to help you buy real estate in San Antonio, TX. See something you love? Contact The Totin Group, eXp Realty, at (210) 872-8888 to schedule your private showing before it’s gone. Don’t wait. With more buyers than sellers in today’s tight real estate market, delay could mean disappointment. Use the Search box above, or browse through San Antonio area real estate for sale listings in Boerne, Converse, Fair Oaks Ranch, Garden Ridge, Helotes, Live Oak, San Antonio, Schertz, Spring Branch and Universal City, Texas. 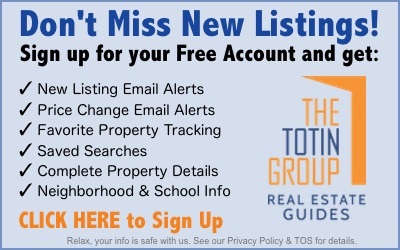 Buy your next home in San Antonio with help from The Totin Group. Perhaps your dream is a perfect luxury home in one of San Antonio’s new gated developments. Or maybe it’s a carefree condo with lots of amenities. A sought-after Mid-Century Modern ranch or a charming garden home for sale in an established neighborhood. Whatever style of home you dream of making your own, the best Realtors in San Antonio TX at The Totin Group have the experience and skills to help you find it, and buy it at the right price for you. Contact The Totin Group, eXp Realty, at (210) 872-8888 today to get the protection and peace of mind that comes from having an Exclusive Buyer Agent on your side.